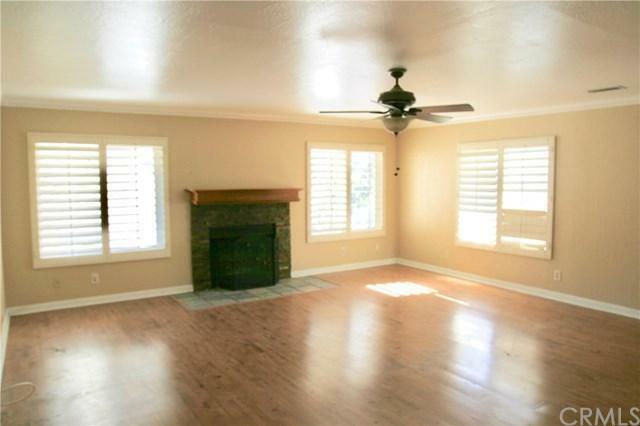 Secluded 3Br + Loft, 2Ba, 2,771 S.F. 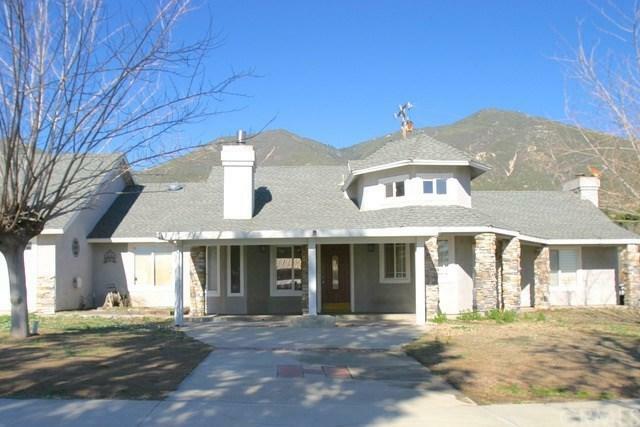 custom home on 1.28 Acre Flag Lot. Stepping through the front door, you+GGre greeted by stone tile floors, a wood burning stove & a rock surround. 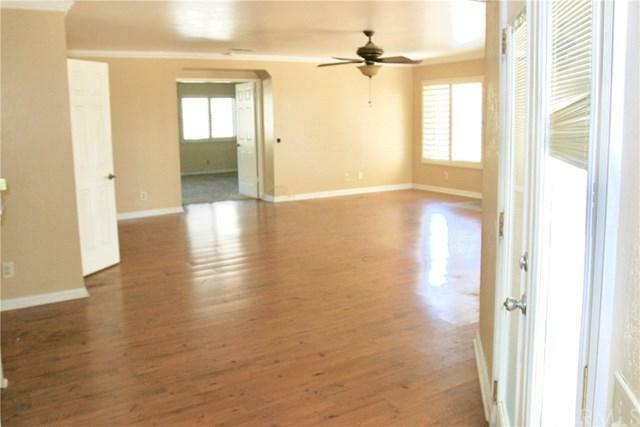 Just beyond is the spacious 17+GGx14+GG dining room w/tile floors, ceiling fan & access to the fenced back yard. To your right is the spacious kitchen w/Corian style counter, white cabinets & glass/tile back splash. The Eat @ Bar sits across from buffet style cabinets ringing a bay window w/views to the Valley and the ample 24+GGx19+GG Family room; which is framed by crown molding & offers a fireplace, tile hearth and mantle. The LARGE 24+GGx16+GG, Master bedroom adjoins the family room & offers access to the back covered patio. The 2 additional bedrooms are separated by the bathrooms, storage & dining room. A portion of the living room has been converted to an office w/built in desk, bookshelves & storage. Access to the 21+GGx9+GG loft w/turret style seating area is accessed via the staircase. Down the hallway you+GGll find the laundry room & the 2 car garage. The side yard is framed by a covered patio & offers an outdoor fireplace. In addition to gorgeous views of the mountains/valley & a secluded, private feel, this unique property offers a 1,600 S.F. metal out building w/~25 ft. ceilings, 3 roll up doors, windows, lighting and its own electrical sub panel +GG the ultimate man cave/shop. 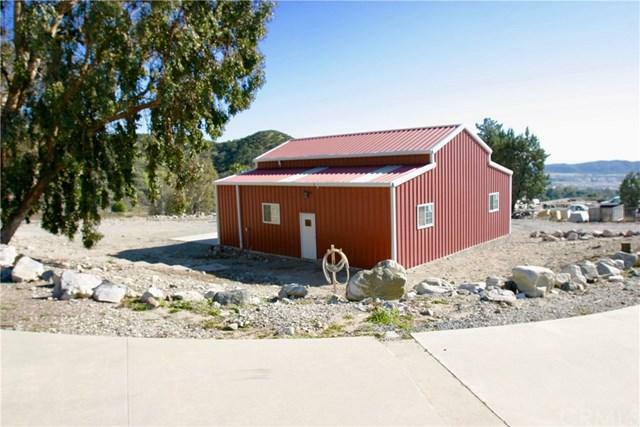 All this accessed from a 300+GG+ fully paved private drive and over 1 1/4 acres to enjoy.